It’s said that it is easier to build a child than repair an adult. 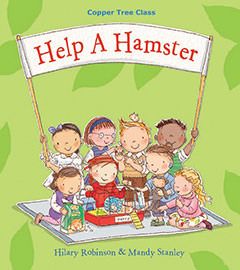 Central to this series of picture books are challenging issues as they can affect children. Subjects include bereavement, adoption, divorce, bullying, travelling children, poverty, child caregivers and relationships with the elderly. 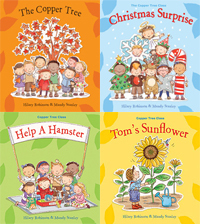 Produced in an accessible format, with a child as the narrator, together with delightful, whimsical illustrations by Mandy Stanley, these books are designed to help children help themselves, as well as to provide a ready resource for parents, carers and child care practitioners. 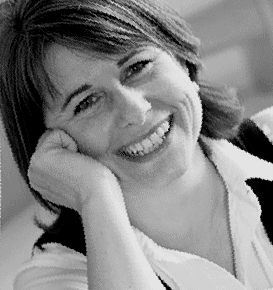 All the stories in the series were previewed during development by social workers, counsellors, psychologists, teachers and families affected by, or involved with, the issues that are covered. Hi I’m Olivia – I like ballet, swans and scrambled egg and writing and doodling. 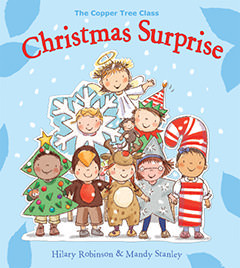 I want to tell you a little bit about some of the children in the Copper Tree Class. Alfie knows a lot about birds and bats. His favourite bird is a Snowy Owl and he once saw a real ostrich running down the road. Sometimes he runs round the playground pretending to be an ostrich. This is Holly. She is the quietest girl in the class and we all try to look after her because she cries sometimes like when she can’t do up her indoor shoes or when she colours outside the lines. She was once the angel in a play that we did when we were in the Willow Tree Class – she was a very pretty angel but her halo kept slipping off and she nearly cried but didn’t. Rupal’s mum and dad look after old people in a home. She says its like having lots of grannies and grandads. Rupal has three pets. Bobby and Bess, retired husky dogs who used to pull sledges in Lapland, and Bonnie a retired guide dog. Rupal sometimes bakes cakes and always brings iced buns into school when one of us has a birthday. When it was Barnie’s birthday she brought an extra bun for his big brother Max. Jake likes to grow tomatoes and marrows. 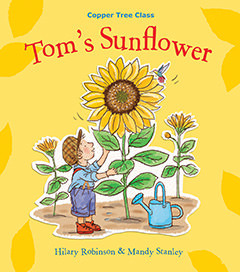 We all grew sunflowers once and Jake’s grew so high he needed a big watering can and Alfie Tate thought a giant might be at the top of it. Jake sometimes bring carrots into school to share with us. He says people sometimes think carrots grow in supermarkets but they don’t. At the school fair Jake had a little stall selling his vegetables and everyone wanted some so they soon sold out. Jake has an allotment near a farm and we are going to have a day out there soon. Barnie’s brother is called Max and looks after him and his dog. We call him Amazing Max because he is only ten. Max used to be a champion swimmer but he’s too busy to do that now but he takes Barnie swimming and always cheers him in his races. Barnie is the class joker because he always makes us laugh. Erika has come to live here from Poland and is learning to speak English. She is teaching us Polish words and we can count and sing in Polish too. She showed us pictures of where she used to live. Our teacher thinks Erika is lucky because she will soon be able to speak two languages. This is Hana. Hana's grandparents come from a country near Poland but I can’t remember its name. Hana comes to ballet with me and says she would either like to be a Princess when she grows up or to work in a petrol station. Our teacher said she could do both. It would be fun to see a Princess working in a petrol station. Mr Banks is our Head teacher but he is teaching our class as well at the moment. He is very busy and very kind. We got Henry when Charlie, another boy in our class, went to live in Australia. Charlie didn't think he would like to go on an aeroplane. Henry goes to stay at Hana's house in the holidays and at weekends. We've noticed he listens well when it's storytime. Winston’s Wish is the leading childhood bereavement charity in the UK, offering practical support and services to families and professionals and anyone concerned about a grieving child. Over 500 children a year receive in-depth help from the charity, whilst their dedicated helpline supports around 3,500 families and professionals, benefiting an estimated 7000 children. According to the Childhood Bereavement Network, all schools will be affected by bereavement at some point. A survey of primary schools in Hull found that over 70% had a child on roll who had been bereaved of someone important to them in the last two years. The Child Bereavement Charity (CBC) is the UK’s leading charity that supports families and educates professionals both when a child dies and when a child is bereaved. Currently the charity trains around 5,000 professionals each year across health care, social care, education, the emergency services and the voluntary sector. It also provides a national support and information service, award-winning resources, an interactive website with an online forum for bereaved families, and Buckinghamshire-based family bereavement support. We think it is excellent for pre-schools and infant schools and the only book we know of that addresses the death of a teacher. 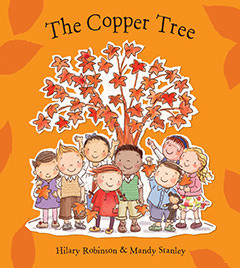 The Copper Tree story makes reference to the popular “All Things Bright And Beautiful” and during a few minutes of reflection, after they learn of their teacher’s death, the children are comforted by a piano arrangement of the tune. 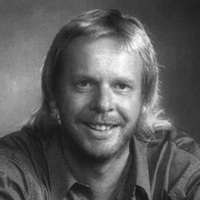 We are grateful to Rick Wakeman who has so kindly given us permission to include this beautiful arrangement on our website. It comes from his CD/DVD Amazing Grace and you can buy it from iTunes.